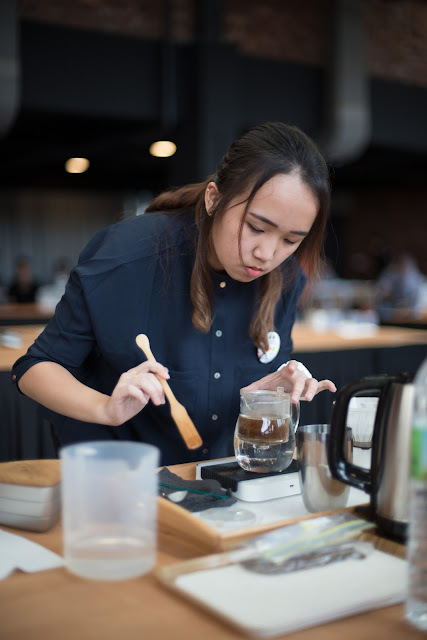 A 16-year old Chief Barista from Bukit Mertajam, Penang was crowned champion at the 2017 Specialty Coffee Brewers K.O. Tournament recently. 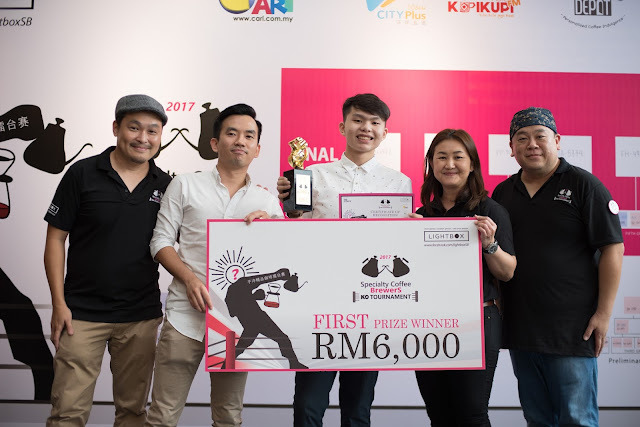 Organised by The Storyz at Lightbox, Sungai Buloh, Jeffrey Ang scored 50 out of 72 points, earning himself the First Prize of RM6,000 in cash and a unique 3D trophy in the 2017 Specialty Coffee Brewers K.O. Tournament. Having chalked up experience at his family owned Coffee Story café as the Chief Barista, Ang had some anxious moments when he accidentally broke his glass V60 dripper, an essential coffee-brewing equipment but the cool teen managed to borrow his friend’s ceramic V60 dripper. Banking on his own experience, Ang went on to brew the best coffee and claim the big prize. 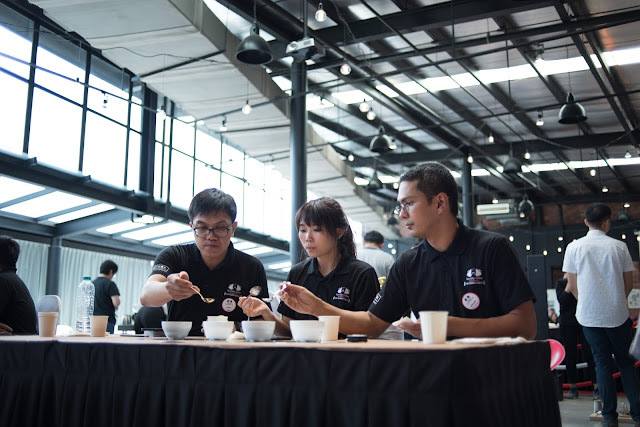 A group of 3 sensory judges carrying out a blind test to assess coffee based on flavour, sweetness, acidity and overall experience. 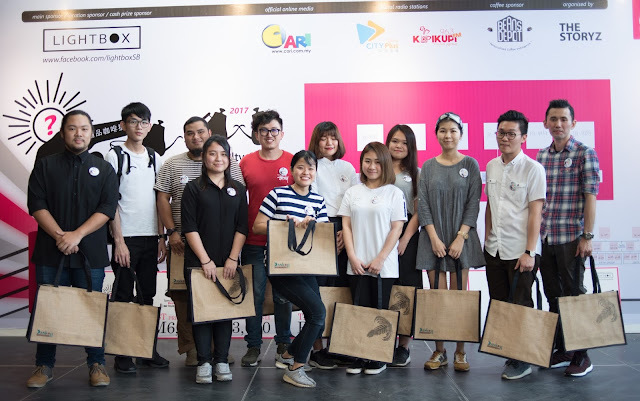 Lightbox, Lightgrey Creative Director JJ How with 2nd prize winner Cecillia Lau Zhi Yan, Vice President of the 2017 Specialty Coffee Brewers K.O. Tournament Junior Lee and President Albert Lou. JWC’s Cecillia Lau Zhi Yan nabbed the second prize with just 7 marks short of the champion. 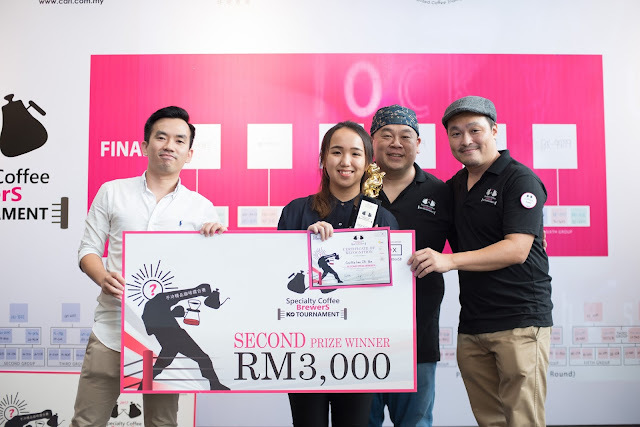 Munirah Shafee from Didie’s Kitchen and Coffee in Setapak only had 3-month experience but emerged admirably in third place with 39 marks. Vice President of the 2017 Specialty Coffee Brewers K.O. 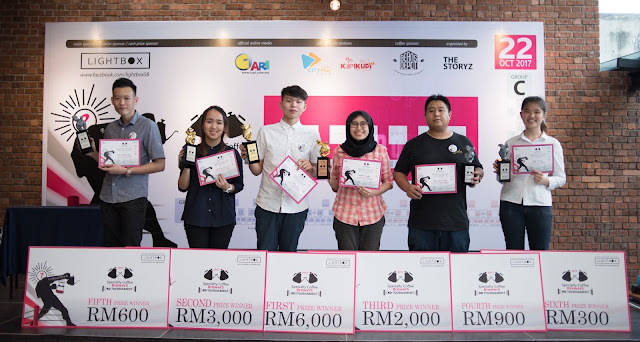 Tournament Junior Lee and President Albert Lou, Lightbox, Lightgrey Creative Director JJ How, 3rd prize winner Munirah Shafee and Head Judge Yip Leong Sum. 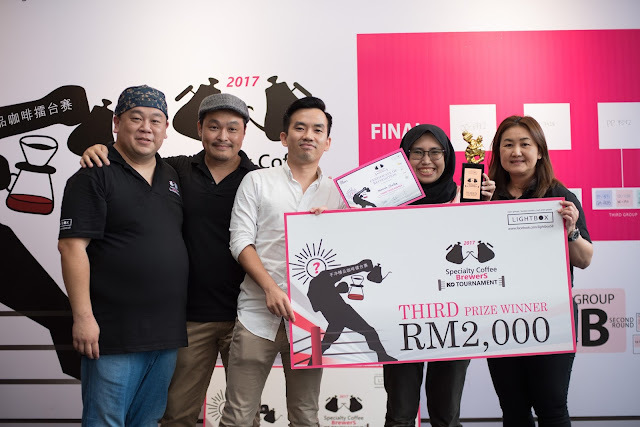 Another home brewer Khairul Anuar Alias was the fourth prize winner with 1 mark behind her, a testament to the ability of amateurs who can brew good coffee. 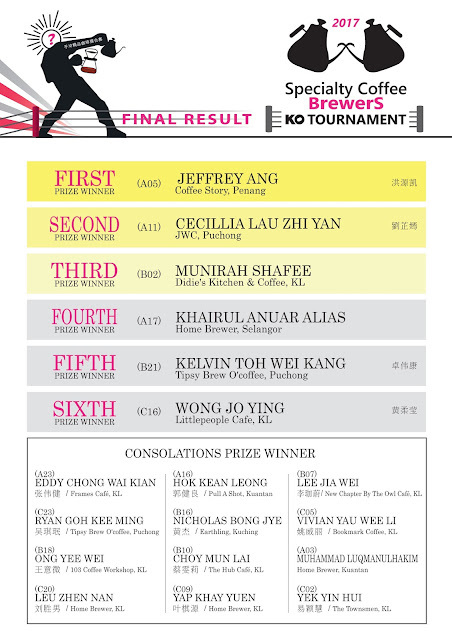 Kelvin Toh Wei Kang from Tipsy Brew O’Coffee and Wong Jo Ying from Littlepeople Café came in fifth and sixth respectively. All winners received cash prizes and a special 3D trophy each while 12 consolation prize winners received a gift sponsored by Dankoff Coffee Specialist. 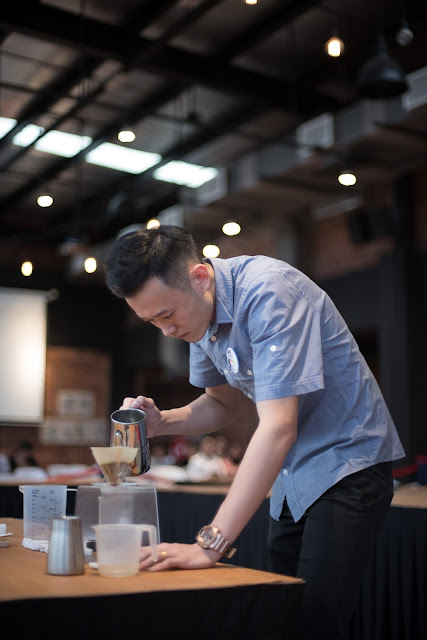 The objective of the competition is to promote the culture of specialty coffee brewing and to enable coffee brewers to interact and share knowledge. There were 72 competitors, mostly from Malaysia (69), one from Australia and two from Myanmar. Besides Barista Guild Asia sponsoring the lucky draw prizes, the event sponsors include official radio stations CITYPlus FM and Kupikupi FM, official online media Cari.com.my and the local media fraternity for their collaboration.